Atrial fibrillation affects at least 2.7 million American adults today. This type of arrhythmia may give you that quivering, too-fast feeling in your heart, but it can also be asymptomatic for some sufferers. This means that regular checkups with a cardiac care provider are important. 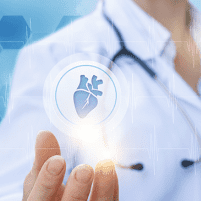 If you have a heart problem, or simply want to check on your heart health with an experienced cardiology care team, Healing Hearts Clinic in Conroe, The Woodlands, and Huntsville, Texas, is here to help. Book online or by phone now. Atrial fibrillation means you have a fast-beating heart with erratic rhythm. Atrial fibrillation sufferers may have a heart rate of 100-175 beats per minute. A normal rate is 60-100 beats per minute. Most cases of atrial fibrillation have a clear-cut cause, but in certain rare cases, there isn't a discernible cause. These symptoms can be sporadic, constant, or semi-regular. Each sufferer is different. In some cases, there aren't any symptoms. Atrial fibrillation isn't typically life-threatening on its own, but it can be dangerous because it increases the risk of blood clots in your heart. Blood clots can lead to serious and sometimes life-threatening issues because the clots can move to other areas and block blood flow. Atrial fibrillation can potentially lead to heart failure or stroke if it's not controlled. Therefore, it's best to get atrial fibrillation treatment from a cardiology care expert. Can I prevent atrial fibrillation? Don't make major lifestyle changes without checking with your cardiology caregiver first. Your cardiologist can help you reduce your risk through lifestyle choices and other recommended treatments. Depending on the severity of your symptoms, your cardiologist may treat you by resetting your heart rhythm to its regular natural rhythm, the sinus rhythm. This can happen in two possible ways: with medication or a cardioversion procedure that sends electrical shocks into your heart to stop it, and then start it again with its sinus rhythm. If atrial fibrillation is a concern for you, book your appointment with Healing Hearts Clinic online or by phone now.